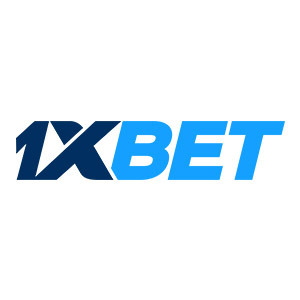 Founded in 2007, 1xBET is a market-leader in the European bookmaker business, operating more than 1,000 betting shops and offering online services at 1xBET.co.ke. 1xBET is new in Kenya but quickly gaining popularity due to having the highest odds on live and pre-match games and the widest range of live events in the world (more than 10.000 events per day!). 1xBET provides a variety of gaming (sports, live betting, live casino, slots, financials and more!). Betting market is also impressively large; 1xBET is offering more than 1000 betting types on some of their games. Great prizes and bonus are offered frequently. A wide selection of payment methods (including Mpesa and Airtel) and an experienced support team guarantees, satisfaction of their customers. They also offer live streaming of hundreds of matches daily. 1xBET is licensed by BCLB under the Betting, Lotteries and Gaming Act, Cap 131, Laws of Kenya under License № 839. There are fantasy football competitions where you can earn a share of a daily $700 prize, as well as bonuses for a series of losing bets. If you lose 20 successive bets at $2 or more, you will receive a $100 bonus; and if you lose 20 bets at $5 or more, you can claim a $250 bonus. RAFIKI BONUS – Earn up to 20% for each of your friend ! Use this link to register and start earning cash! Withdraw you money every 2 weeks!!! Build your own affiliate network and make easy money ! You want to be dazzled, dare click an event for the market options. Your finger tires from scrolling down. There must be over 1000 of them on some games. 1xBet has achieved in creating an alternative if not an additional way to add money to your account. Some types of bets are unique to the site. Odds are the best comparing to other bookies in Kenya, well defined and well laid for you to get attracted to them. This could be distracting to straightforward punters. 1xBet live betting is state of the art. 1xBet has the most live games and betting market is huge. Live betting at 1xBet is by far the best I dare say. Deposits and withdrawals can be made by Mpesa, Airtel, Bank Transfer , Ecopayz, Neteller, UPayCard, AdvCash, Perfect Money, OKPay, Dogecoin, Skrill, WebMoney, Entropay (Virtual Cards), Visa, MasterCard, Bitcoin, Litecoin. The paybill number for Mpesa is 290027, for Airtel it is 1xbet. The minimum stake is Ksh 22 per bet. Maximum stake is Ksh 500000. The maximum payout is Ksh 60 000 000. Yes. With 1xBet Cash Out system, you can now cash out your bet.